Recently, I gave an artist talk at Blue Door Gallery in the Artists’ District of Yonkers, NY. 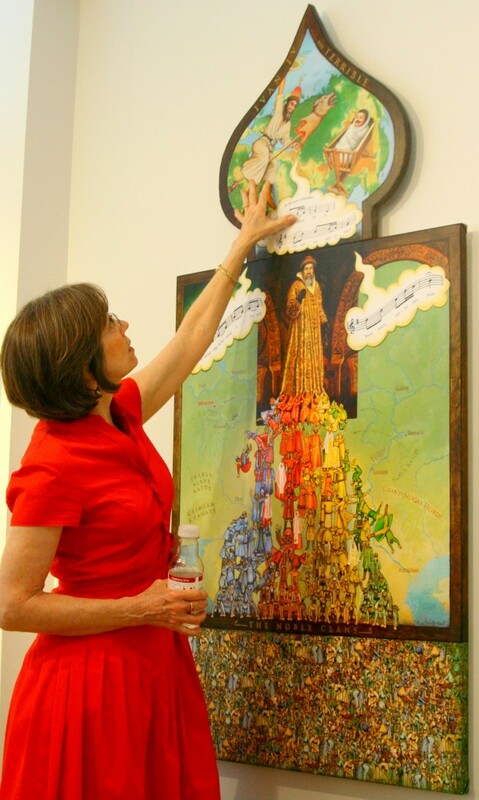 I spoke about the newest painting in my PLAYGROUND OF THE AUTOCRATS series, which tells stories about Russian history in pictures. Below are some photographs of the talk. Your Grasping, Scheming V.I.P.s is the first panel in what will become a 5-paneled work – a pentaptych – entitled Darling Godsonny Stalin (Ivan the Terrible Advises the Infant Stalin). 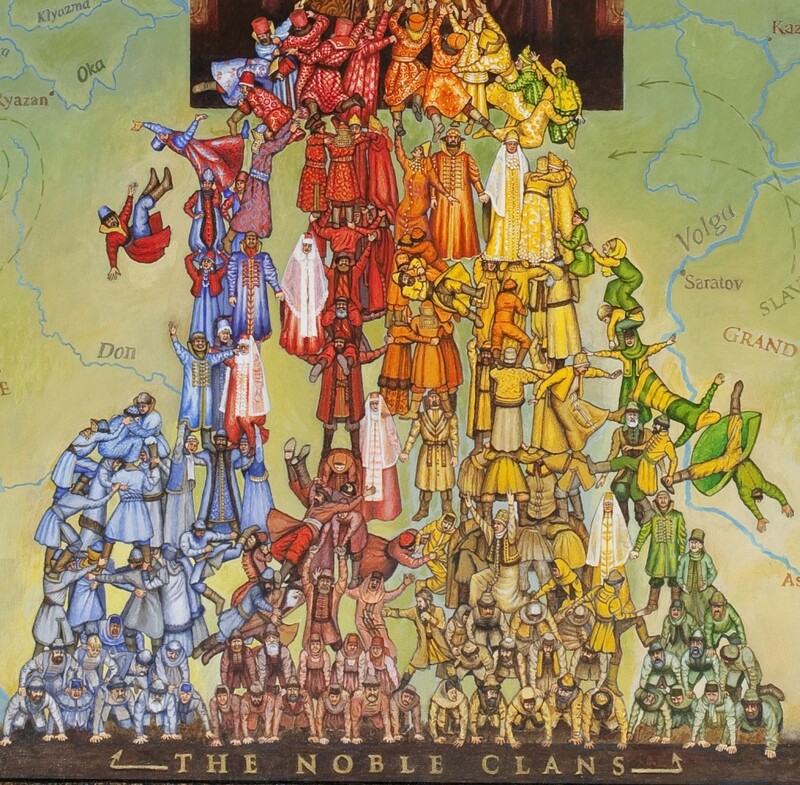 The completed pentaptych will playfully tell the tragic story of Russian rulers’ recurring terror against their own people, from Tsar Ivan IV (the Terrible) to Stalin, who caused the deaths of upwards of 20 million innocent Russians. I believe the past is godparent to the present, and that landscape and environment are godparent to all. 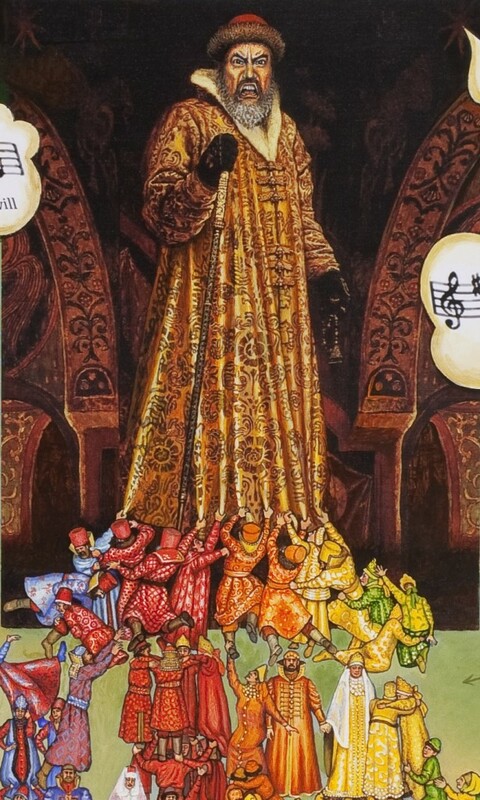 One way I visualize this in my art is via my fantasy of Ivan the Terrible as one of Stalin’s godparents. You can see Ivan singing to the infant Stalin in the top of the panel above. To become a true autocrat, Ivan had to cut his way free of a “spider’s web” of powerful aristocratic clans. 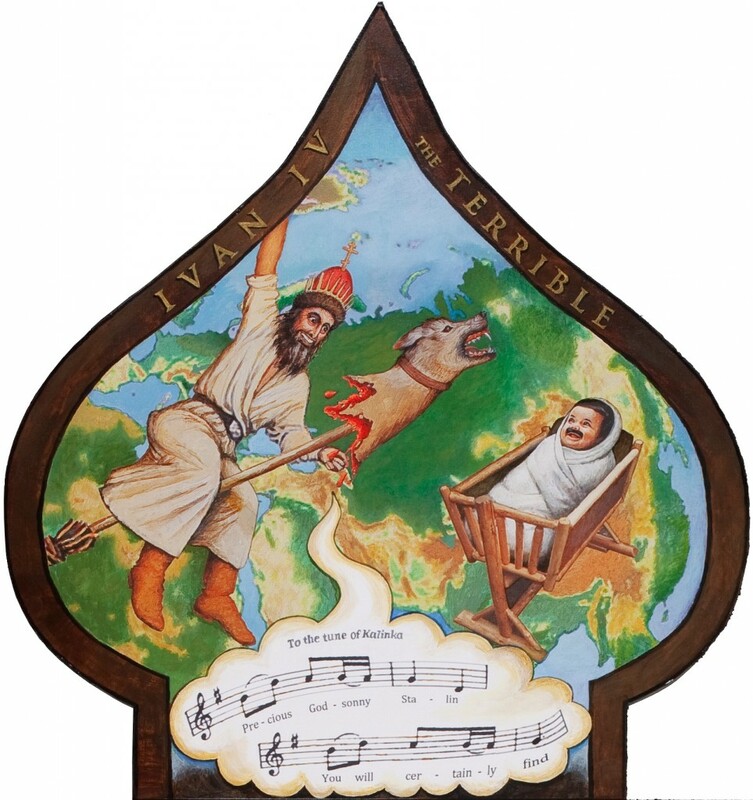 Stalin’s godfather, Ivan the Terrible, flies on a broom topped with a severed dog’s head – both Ivan’s symbols of his Terror against his own people.